Findlay Chevrolet has a penchant for car shows. The latest event Nov. 27 was evidence of that. Findlay The Thanksgiving weekend car show at Findlay Chevrolet drew an estimated 200 entries. Findlay Grand American stock car racers, Pat Petrie, left, and Tom Fundstein were featured at the Thanksgiving weekend car show at Findlay Chevrolet. The two compete in Grand American racing events at the Bull Ring at Las Vegas Motor Speedway. Along with the classic cars spread all over the grounds of the dealership, there were the throaty sounds of high-horsepower engines that included a pair of Findlay Chevrolet-sponsored Grand American Modified race cars along with an impressive collection of roadsters, sedans and even motorcycles. 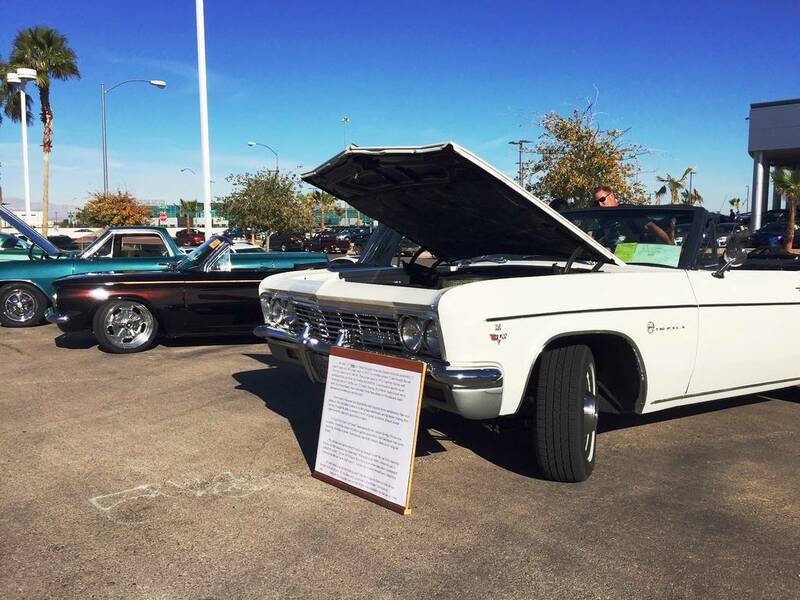 Car shows are well-received in Southern Nevada, where local gearheads love to revisit their younger years by cruising the streets and frequenting the gatherings. However, car shows are not easy to put together; the process requires long hours of planning and coordination. This car show was no exception. Spearheaded by dealership marketing director Mike Chance, the gathering drew an estimated field of 200 entries. Chance, along with Art and Rita Kam of the Las Vegas Cruisin’ Association and a long list of dedicated employees, worked long hours preparing, presenting and concluding a very colorful gathering of gearheads and their toys. 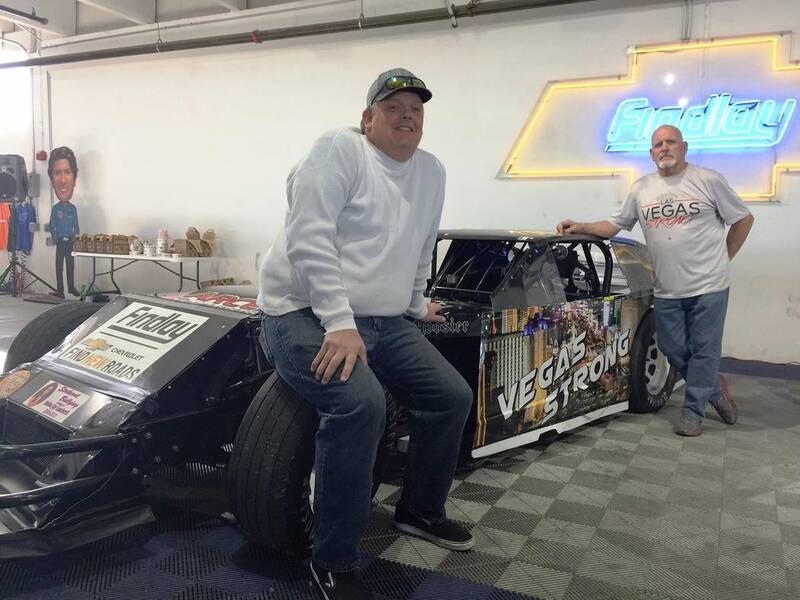 The Grand American Modifieds included H Town Racing drivers Pat Petrie and Tom Pfundstein, who have been sponsored by Findlay Chevrolet for the past nine years. Future car show gatherings at Findlay Chevrolet will include an upcoming Father’s Day event in June. Chance also said Findlay Chevrolet had a good day of car sales, too. “It ended up being the perfect combination,” said dealership General Manager Doug Fleming. Findlay Chevrolet is part of Findlay Automotive Group, founded in 1961 by the late Pete Findlay, whose son, Cliff, now oversees 31 automobile dealerships in Nevada, Utah, Arizona, Idaho and Oregon.